Markets in London are some of the best in the world. Full of culture and history (and quite often beautiful architecture to go with it), shopping at a market is such a good way to escape from the commercial supermarkets and buy local, to support small businesses and to get produce as fresh as it comes. Not to mention the street food you can try while doing your weekly shop. It’s all too easy to make heading to the self-service cashier at the supermarket a habit, and to forget what it’s like to interact with the humans who make a living from selling goods. The colours, the smells, the flavours, the freshness, the energy, the interaction and the good vibes all make markets one of my favourite places to spend the weekend. London is a great place to enjoy a varied market experience, with contrasting markets dotted all over the city. 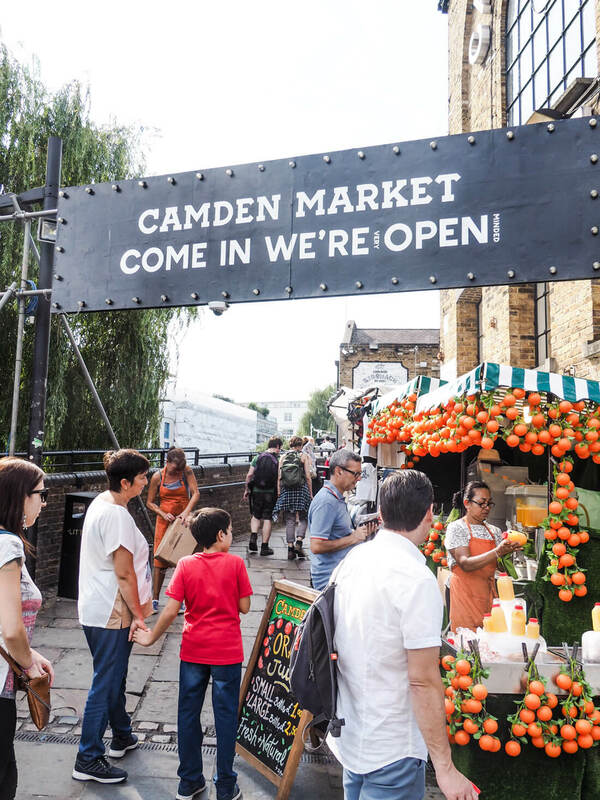 Open 7 days a week, 10am – late, this market is full of the hustle and bustle that I love about Camden! You can find everything and anything here – clothes, keepsakes, food and drink and more. They also have special events on regularly, so keep an eye on the website to see what’s on. See my complete guide to Camden here. 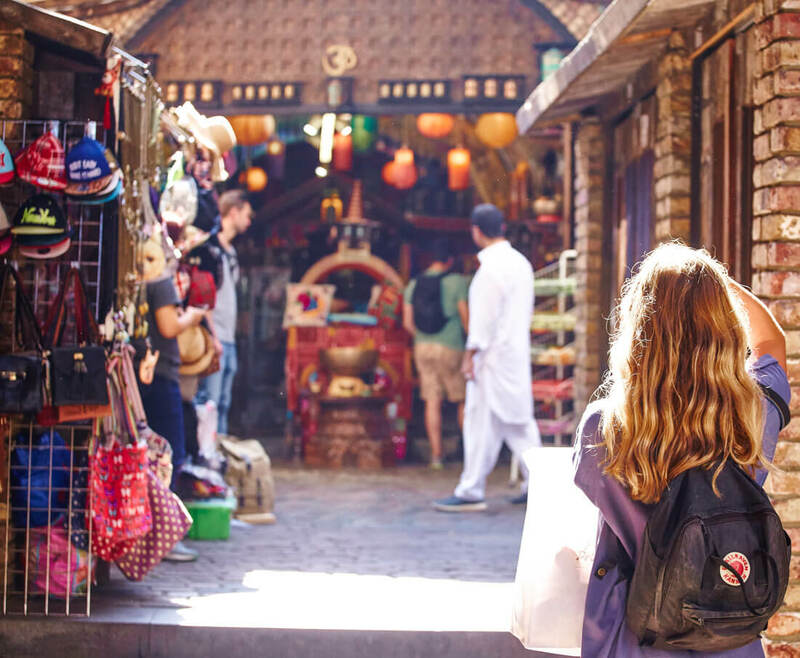 Known for the amazing choice of second-hand furniture, clothes, shoes and bric-a-brac, the best day to visit this cultural hub is Sunday for the market stalls (10am-5pm) (although the shops are open every day). Check out the website for more information and to see what’s on in the area. Check out my backpacker’s guide to Shoreditch here. There’s so much on offer in this diverse area of London, and markets are no exception! The outdoor markets on Station Road, Electric Avenue and Pope’s Road, and the indoor arcades of Brixton Village and Market Row offer street food, goods and groceries daily. There’s also a monthly Baker’s and Flea Market, a ‘Brix Mix’ market twice a month, themed Saturday markets, weekly Farmer’s markets, and a monthly Retro and Vintage Market. Open 10am-6pm from Tuesday to Saturday, this is one for the budding collectors among you. Check out the antiques, collectables and the vintage clothes spread across four floors, and then head to the rooftop cafe for some post-shopping refreshments. Check out the website here. Open every Sunday from 8am-3pm (ish), it’s best to get to this market as early as you can to enjoy the full explosion of colour and get the freshest flowers to brighten up your flat or give to a loved one. See more information about the market and the pitch owners on the website here. Good for homemade clothes, crafts and collectables, the Apple Market, the East Colonnade Market and the Jubilee Market can be found really close to the buzzing centre of Covent Garden. Look on the website to see what’s on and which days each market operates. This Victorian street market operates on Saturdays, and offers an abundance of food, homeware, collectables and more. The shops on this street are open every day, so if you can’t make it on a Saturday, there’s still plenty to do in the area. See the website for more information. This market, located in Notting Hill, is open Monday to Saturday, although Saturday is considered to be the main day. Make sure to check out the food, antiques and clothing on offer in this colourful area of London. See their website for more information. This market is full of fresh produce and it’s right in the centre of London. It’s also ‘slow food’ accredited and has a large focus keeping its environmental impact low. The full market is open Wednesday – Saturday, but on Monday and Tuesday they also have a limited market (plenty of choice, but not all the shops and stall are open). See more information on the website here. Check out my experience at Borough Market here. One of London’s newest and lesser known markets, but still worth putting on your ‘to visit’ list! It’s open on Saturdays and Sundays and is full of so much food! See their website for more. This covered market sells everything: food, fashion, antiques, vinyls, toys and more. It’s open every day, but it’s busier on Thursdays as this is the specific day for the antiques stalls. See their website for more information. Best known for the ethical and sustainable street food that is on offer on Fridays, Saturdays, Sundays and Bank Holiday Mondays, this market on London’s Southbank is not one you want to miss. There is also a daily book market! See more information, including special themed markets, on their website. This one’s an inside market – perfect for those rainy days we know oh so well in the UK! Fresh fruit and veg, hot and cold food – perfect for grabbing lunch while you pick up your fresh produce for the week. Read about my trip to Whole Foods Market here. The only London market on a World Heritage site, and open 7 days a week, this market has everything from food to jewellery to clothes to antiques and more. They also have frequent events, such as a monthly ‘Vegan Vibes’ day and events to mark different occasions. Check out their website to see what’s on. KERB have markets spread all across London – great for guaranteeing tasty food wherever you decide to explore! Keep an eye on their website to see where they are and when. Read about my trip to KERB Camden here. The Tower Hotel – Exploring London Bridge, Monument & Borough. Shake Shack, Covent Garden – Burgers and Milkshakes. FREE cocktails – The Stoli Lemonade Van Tour hits London! Festive things to do in London this Christmas! Have you been to any markets in London? What was your favourite? I’d love to know!